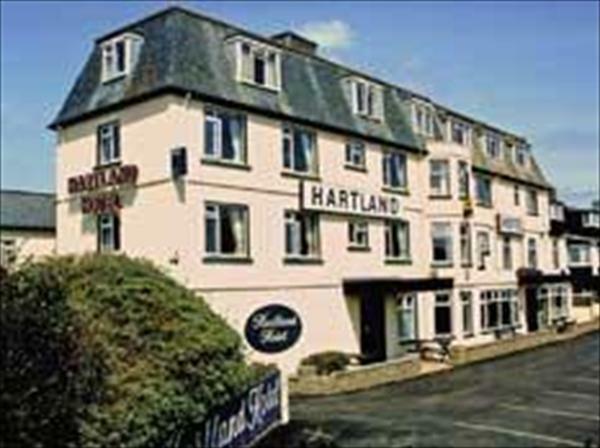 The Hartland Hotel Bude, Cornwall enjoys a pleasantly quiet yet convenient location, the Hartland hotel Bude has excellent sea views over Bude Bay, Hartland hotel is a popular hotel in Bude for those wishing to tour this part of North Cornwall and the Hartland Hotel is also popular with families. The hotel also offers entertainment on many evenings throughout the year. The hotel bedrooms are comfortable and offer a range of sizes. The hotel's public areas are smart and in the restaurant a pleasant fixed price menu is available. Out of season cheap hotel holiday deals on offer at this hotel in Bude.